When you photograph a wedding, it’s just such a special feeling to be part of what is the first big day of a couple’s life together. And then when you know the both of them, it makes it just that much more special. I am soooooo pleased that Brendan and Sara have found happiness together! 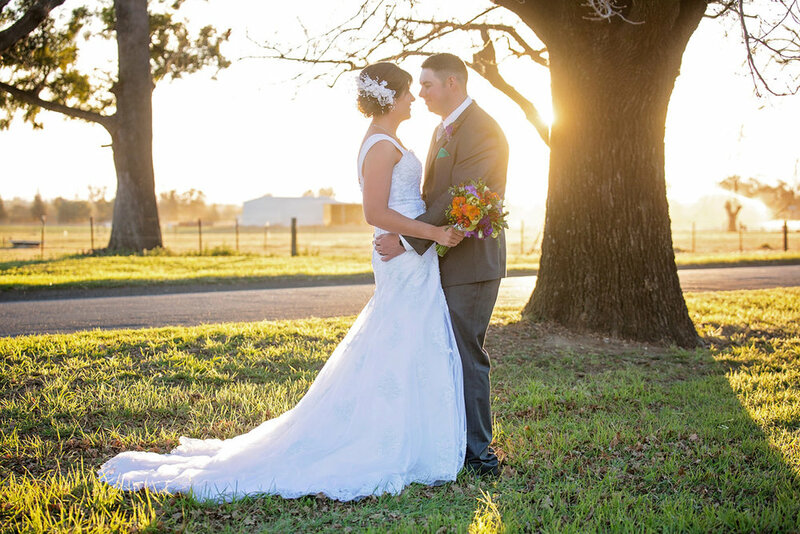 Brendan is a Warialda boy and Sara’s parents live on a property just outside of Werris Creek. The couple chose Tamworth for their nuptials. The day began with photographs of the groom and his groomsmen getting ready at the Golf Links Motel. 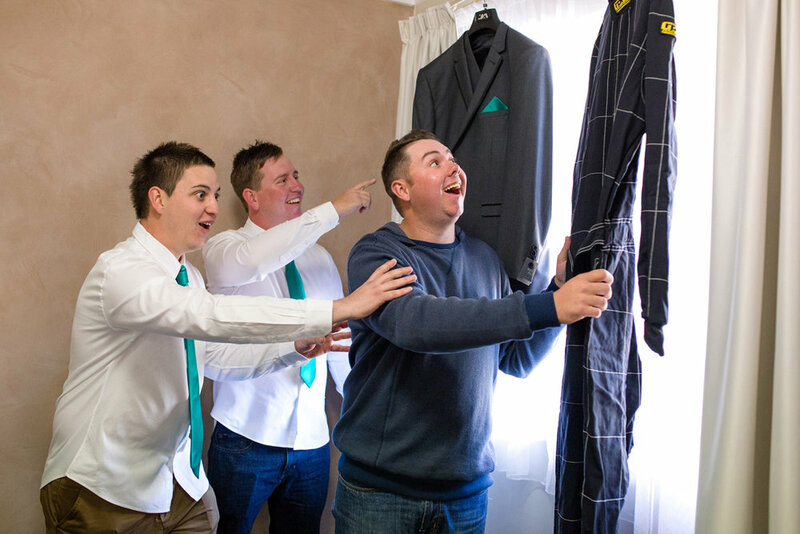 Brendan had brought along one of his offroad racing suits with a fantastic idea of hanging it alongside his wedding suit! It certainly made for a very cute photo of him reaching for it instead of his suit! Sara and her bridesmaids prepared for the ceremony at Sara’s parents place. 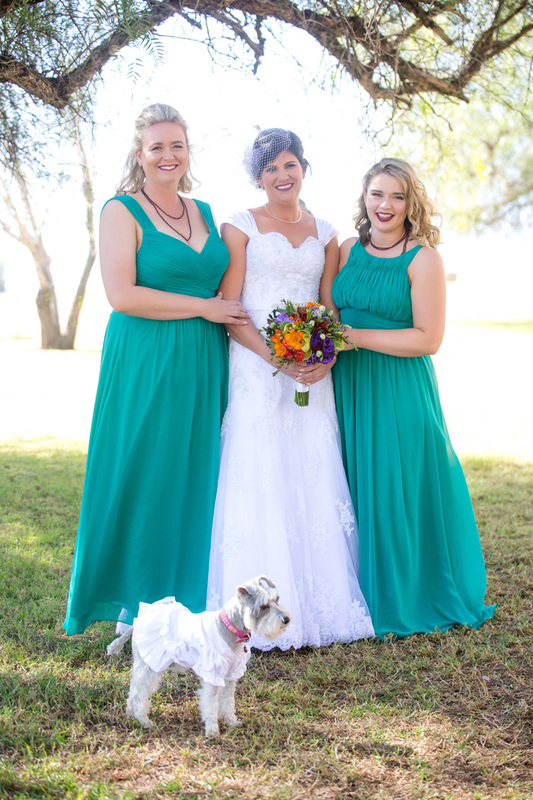 Her dog Pearl a constant companion while they got ready – complete with her own little dress! I also photographed Sara with one of the horses. 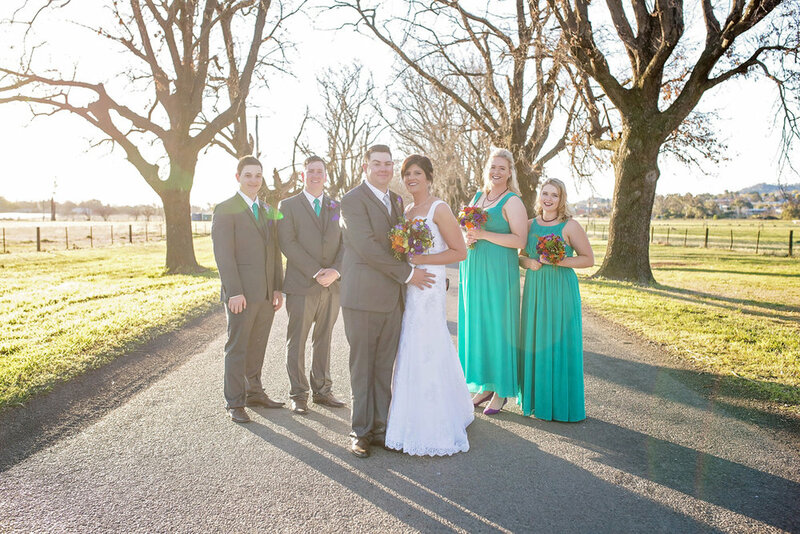 The ceremony was amongst the greenery of the Tamworth Botanic Gardens. What a delightful place for a wedding! The Bush Chapel seated all the guests and provided ample shade under the trees. Best of all, we didn’t have to go far for bridal party photographs! We did however choose an additional location for some photographs – the ultimate spot in Tamworth – King George Avenue. While the leaves on the trees hadn’t come in yet for spring, the avenue still provided an amazing backdrop for the happy couple. During the reception at the Tamworth Golf Club, I also stole Sara and Brendan away for ten minutes for a couple of my signature ‘after-dark’ photos. We used the bare branches of two tress close together for a very surreal shot which had a bit of mysterious feel about it! 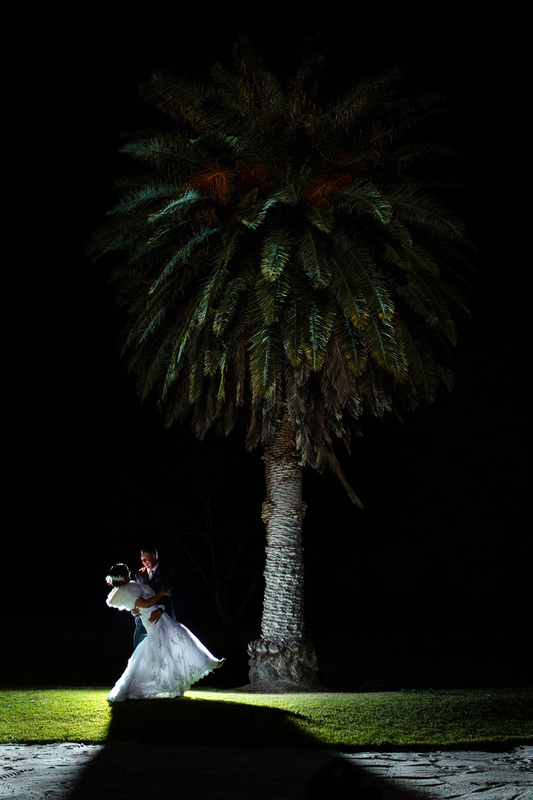 I also set up my portable flash just underneath a Palm Tree on the golf course for a fantastic shot!